Tonya Voecks, MSN, was appointed to the American Health Council’s Board of Nurses for her dedication to improve others’ lives by providing exemplary mental health services at her practice, Norfolk Behavioral Health. Ambitious to successfully guide others to their optimum mental health, Ms. Voecks established her practice in May 2017 in Norfolk, Neb., where she practices her expertise in Psychiatry. With 24 years of experience within the healthcare industry, Ms. Voecks lends her medical skills to patients on a local and regional level to ensure that any individual who seeks mental health aid receives it. Since she was young, Ms. Voecks yearned to help others as often as she could. She always felt like a caregiver, and decided to pursue a career that incorporated her nurturing demeanor. 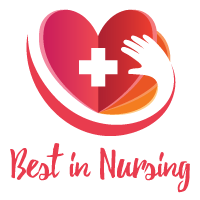 She ultimately decided to enter the nursing field as she enjoyed and appreciated its hands-on aspect. Her passion led her to enroll at Northeast Community College where she received her Licensed Practical Nurse diploma in 1994. She then enrolled at Western Iowa Tech Community College where she earned a Registered Nurse Associate of Arts Degree in 1998. In 2012, she enrolled at the Chamberlain College of Nursing at Downers Grove, Ill., and received a bachelor’s degree in nursing, and finally received her master’s degree in nursing from the University of North Dakota in 2015. Although physical health is essential for body longevity, Ms. Voecks recognized that mental health is just as critical. She was determined to help others, and opened her practice alongside fellow registered nurse, Rhonda Pettitt. Together, they opened the doors to Norfolk Behavioral Health, which encompasses both of their practices: Tonya Voecks Behavioral Health and Pettit Behavioral Health. Along with Pettitt, Ms. Voecks provides medication management, and prescribes medications when indicated to restore balance to her patients’ mental health. Both women believe that each patient has the right to be heard and treated with respect and dignity. They also believe that patients should be treated holistically, meaning that anyone who supports the patient should be considered in the patient’s treatment, including potential non-psychiatric causes. 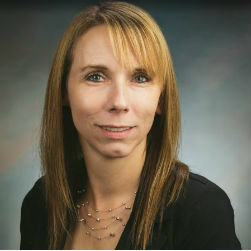 Although Norfolk Behavioral Health provides an array of services, Ms. Voecks specializes in women’s mental health, including prenatal and postpartum depression, premenstrual dysphoric disorder, perimenopause, menopause, and mood disorders. Her practice also offers services for those suffering from depression, anxiety, bipolar, schizophrenia, substance abuse and attention deficit hyperactivity disorder. She attentively cares for each patient, whose ages range from adolescent to adult, each day. Because of her conscientious medical skills, Ms. Voecks’s practice continues to thrive. She continues to improve within the mental health field by joining the Women’s Empowering Life Line, whose mission is to promote health and well-being, along with behavioral health treatment and tools for adult women. She has served on the Nebraska-based organization’s board, and belongs to other associations including the Postpartum Support International, Perinatal Mental Health Society and Marce Society for Prenatal Mental Health. These associations, along with her practice, enable Ms. Voecks to learn more about mental health. She plans to continue to evolve within the field to advance her practice. Norfolk Behavioral Health is comprised of two offices: Tonya Voecks Behavioral Health and Pettit Behavioral Health. 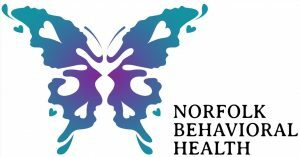 Since its establishment in early 2017, Norfolk Behavioral Health offers several psychiatric services, including depression, anxiety, schizophrenia, substance abuse and more. The practice specializes in women’s mental health, treating women who suffer from postpartum depression, premenstrual dysphoric disorder, perimenopause, menopause and mood disorders.